i love this pushchair. was looking for an affordable travel system. found this and am glad i chose it. great big wheels and easy to push. however i do not like that its big when folded. take all the space in the boot. Such a good value for money, can put baby in any position that is most comfortable from birth +. So easy to manoeuvre and steer and the hood blocks all sunlight so your baby’s is protected. 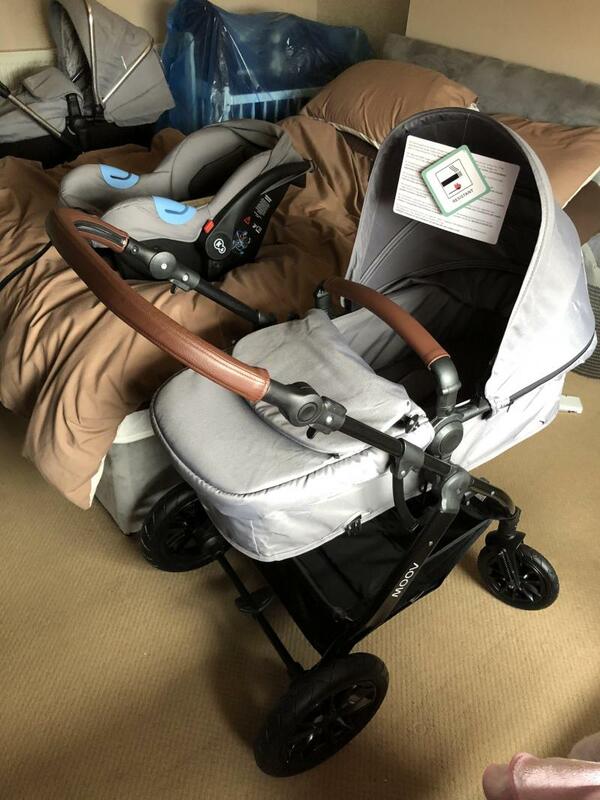 So the pram came and it was super easy to assemble! We ordered it in grey with the brown faux leather handle. It’s great that it can go from a lie flat crib to a sit up stroller. It is really easy to do as well literally the push of a button and a few click in straps. It has blow up tyres which I find a pain especially if we were to get a puncture, however 3 months in and still going strong. 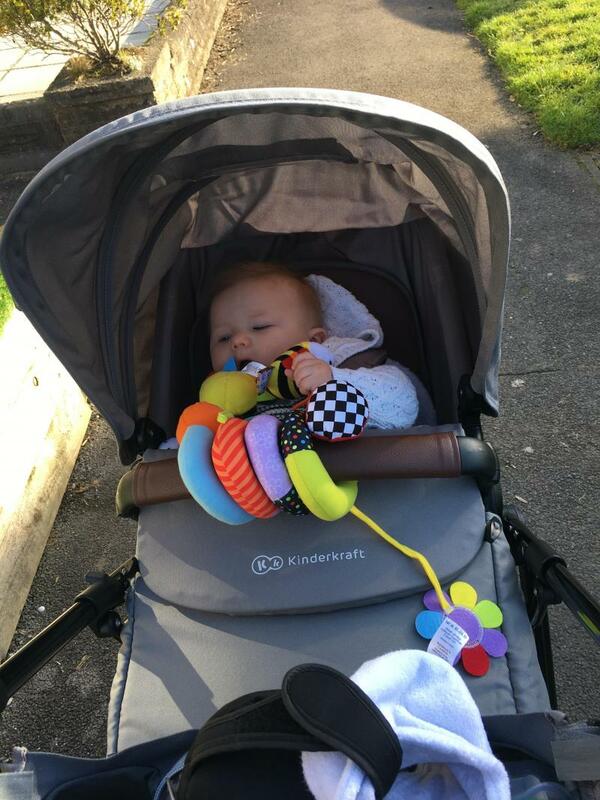 It’s a very sturdy pram but it does feel quite jittery at times especially the suspension at the front. Car seat is of a good quality as well as the rain cover. If you are on a budget but still want a nice looking pram I would recommend this. I have had many compliments saying it looked expensive. My little one has been in his since birth and is soo interchangeable he’s still in it now at 7months going on 7years. 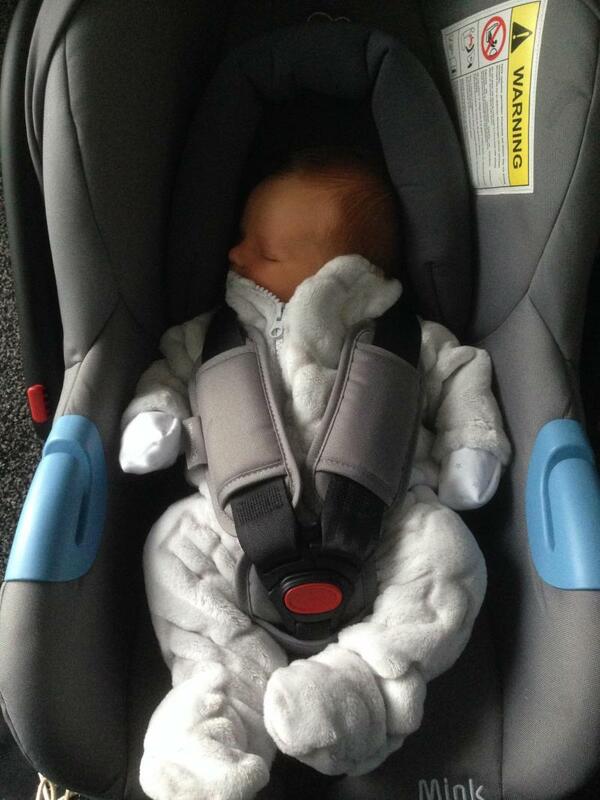 The carseat with insert was soo secure and reassuring for me as a first time mum with a tiny baby he was so comfy and content! 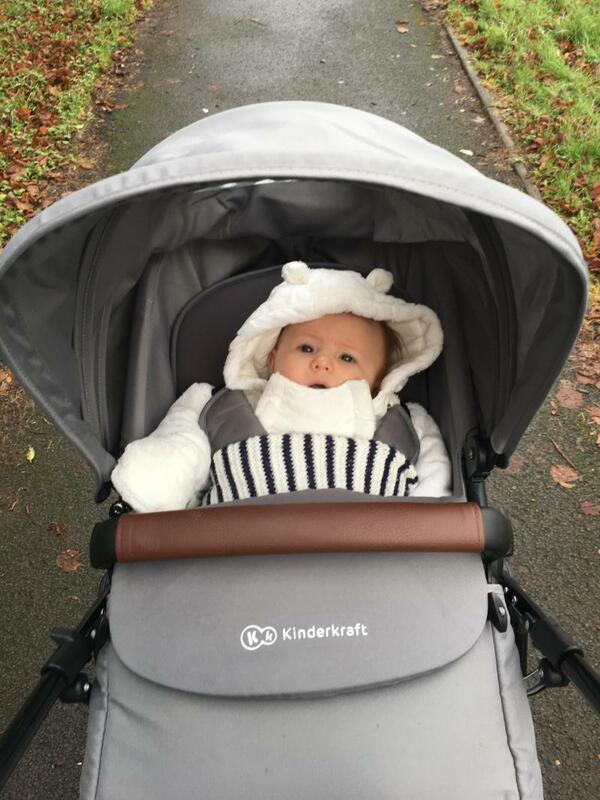 Hes now loving the stroller attachment which again has so many adjustments he can sit and see everything or relax back and nap! It has made the crazy mum days a little easier with its quick and easy pop up assembly and folds away compactly! If your like me and spent countless hours searching for the perfect system but were left disheartened with the price tag this is by far the best quality for a fraction of the cost! I love love love this and would recommend to anyone! I purchased this for my first pram mainly because of the cheap price to keep costs down. The aesthetic is similar to a silver cross that Iv seen but for a portion of the price and it’s wuite modern in style. It was easy to put together and is easy to use! Low price and a good quality product that can be used for a while. Tyres need pumping and the pram is not very easy to manoeuvre. We chose to buy this item as we did not want to spend crazy amounts of money on a travel system. So considering how cheap it is, it's a really really good product. We've been using it for 10 months and looks like we're gonna continue successfully using it. The neutral colour is great and it's quite easy to clean and wash. I love the fact that you can easily change the positions and the pram can also face both ways. The car seat is great and we did not have any issues with it at all. The only problem that I found is that tyres need pumping from time to time and the pushchair itself is quite big and bulky. Overall, it's a great value for money and I really do not regret buying it. 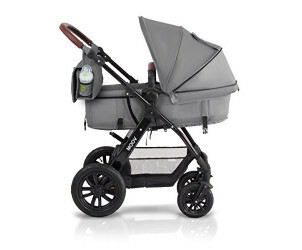 This travel system is absolutely gorgeous, it looks way more expensive than its actual price! Instructions are not all that clear to follow, had to go off a YouTube video instead. We ordered this pram a few weeks ago in preparation for the birth of our daughter due this May. All I can say is we are both really pleased with the overall quality and style of the product, we purchased it at a special price but even at full price the quality of it far outweighs its cost value! 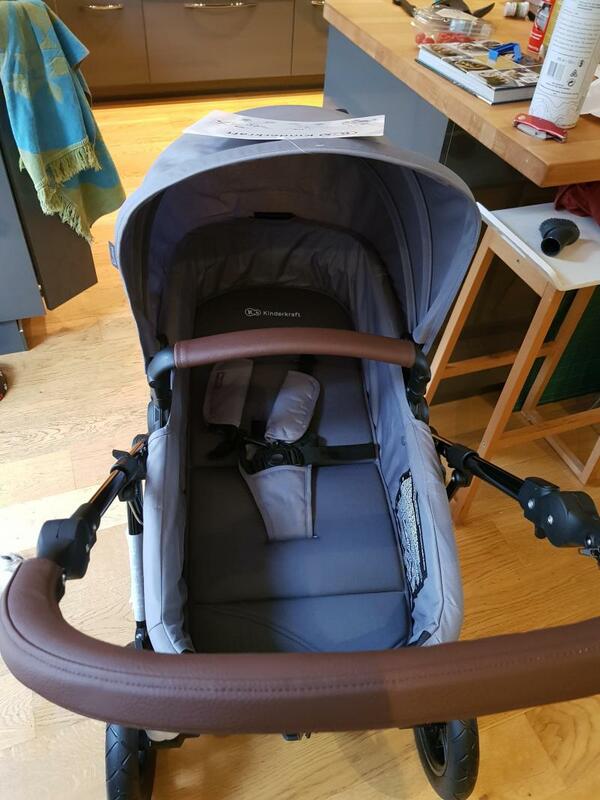 It feels so nice and easy to steer and manoeuvre, the carry cot detaches and transforms into the stroller position very easy and the car seat is also incredibly simple and versatile to use. Our only bug bear with this is that the instructions we had in the box weren’t all that clear to follow, in the end we resorted to watching a few clips on YouTube to figure it out. Other than that I would defiantly recommend this product to any parent, expectant or not! Changing bag too smalll - not fur for purpose. Sometimes the frame can feel a little unsturdy. Bought this pram in the Emma's Diary offer for £199.99 through the Precious Little One website. I have been usung the pram for around 6 months now. It can be a little bulky but does fold down pretty well. Frame sometimes feels a little unsturdy but i do trust it. Hood is stiff and flimsy clasp broke after 6 months, wheels keep locking on own. I bought this pram as on a budget and it came as a bundle. Easy and fast delivery. Moderate to assemble but was ideal for my son. The tyres moved freely making it easy to steer and comfortable for the baby with the proper tyres (rather than plastic) and suspension. However, the Hood was very stiff to pull over and has snapped on one side after only 6months. The locks for the front wheels also seem to slide down and lock by themselves. Very robust and easy to steer. Storage tray too low to the ground and gets dirty easy. I have the 3 in 1 system and like the fact that I can alternate between car seat and pushchair base. It's easy to fold and unfold, in fact that can be done with one hand. The front wheels can be locked or unlocked to make steering easy, depending on the terrain you're walking over. It also came with rain apron and changing bag. Great to have the car seat able to go on the frame. This is a great pram for a newborn. The car seat easily moves from the car to the pram and back again without having to get the baby in and out all the time. The insert means the baby is nice and secure inside and their head is protected. The pram steers really easily although I have accidentally put the front locks on sometimes, by knocking the wheels when getting out of the car but this is easily changed. I have been using it for 12 weeks so far and not had to pump up the wheels. I have only used the carrycot in a lie flat position so far and its a good large size with plenty of room for the baby to not outgrow too quickly. I have not tried to get this in the car yet but feel that its probably going to be bulky as it does not fold down with the pram. We have used this travel system since our son was newborn. Its so easy to use and doesn't look like it only cost £250! It is easy to build and change from pram to pushchair, and easy to put the carseat on the frame. Excellent buy for first time parents - would recommend! Easy to change function and fold. Steers like a shopping trolley. I find this pram easy to steer, but occasionally the locks on the wheels come on, making steering quite difficult. I also find the brake quite hard to take off. The pram does come with everything we need, change background colour excetera. very easy to put the car seats into the car and attach to the chassis. The wheelbase on the chassis is very big, which is a problem for our boot on the car, and it puts one of our rear seats out of action, apart from this I absolutely love it. I absolutely love this pram! It’s light and easy to put up and down, I’m able to get it up and down with one hand while holding the car seat! Not yet tried the upright seat as my baby is stil newborn but carrycot position and car seat are both safe and secure for newborns. Would highly recommend this pram! I love this travel system, it's a great budget option. I've used it daily now for six months and only had to pump the tyres up once, I noticed the steering performance had increased. However when the wheels are pumped up to the right level it handles like a dream. It easily converts from a lying flat carry cot to pram seat, it great when the littlwone falls asleep you can convert it to lying flat without waking them. It was easy to assemble and very easy to switch from forward to parent facing. I used the car seat daily for four months and it still looks brand new. The only thing I don't like is the basket could be a little stronger and there's two Velcro patches used attaching the hood but I've added some more myself and it's perfect now. Easy to fold away. Car seat and carrycot are easily attachable and detachable. It is very sturdy. The changing bag is a little on the small side. I paid £199.99 for this. This was on Precious Little One's website with the Emma's Diary discount. The original price was £499.99. I have to say, it is definitely worth the money. It was very easy to assemble. It's also very easy to fold away and dismantle. It has a large shopping basket on the bottom. It also comes with a rain cover, mosquito net and a changing bag. The only downside to the travel system itself is the changing bag. This could do with being bigger and would work better with a button, rather than velcro to fasten it. As the velcro on mine just does not stick at all. It has breaks on both the front and back wheels. Although, sometimes when it has been folded away, the front breaks come on by themselves. The wheels also have suspension, which makes it a smoother ride for baby, when going over bumps. I would definitely recommened this to any to be parents! 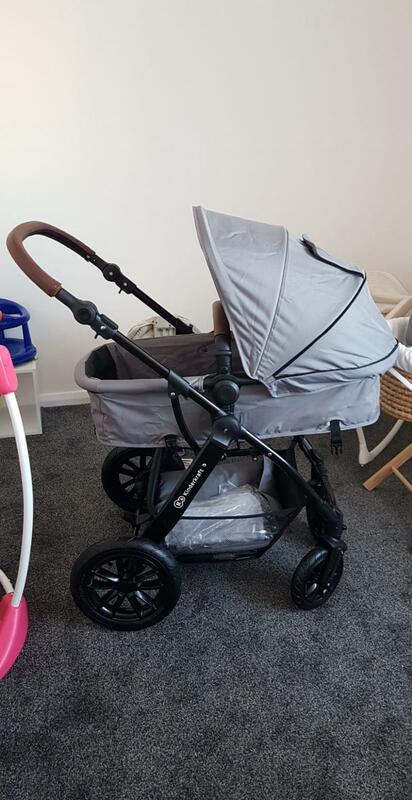 This pushchair is lovely to push and has a lock and unlock system for the wheels making it easy to turn when going for walks. It comes in different colours and is made to last. The pram part is lovely and big. Nice colour. Modern with the leather handles. Front wheels constantly lock so makes turning difficult. Car seat hood constantly scrunches up. 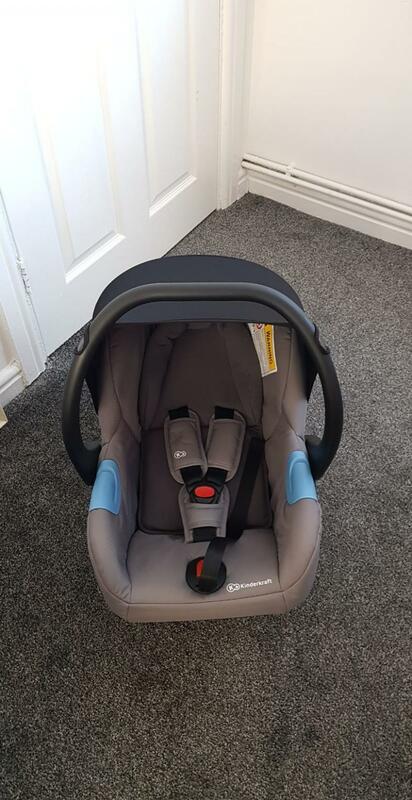 I brought this as it was £199 and I didn't want to pay for an expensive pram to get scratched and dirty being shoved in the back of my partners work van. Anyway it's great for price, sizing of the pram is brilliant, my friend paid over £1000 for a pram and the child outgrew the pram part in 3 months, my son is 6.5 months and had loads of room, especially length wise, not sure he's even half way down if yet and he's long! My down side is the little locks on the front go down a lot so I feel I'm unlocking them a lot to be able to turn. I had a problem with a back wheel before I even used it but was sent a spare out for free the next day, brilliant customer service. The hood on the car seat scrunches up a lot which is annoying but no biggy. The free changing bag of very very small and flimsy, I didn't use it but it's free so can't complain. All round for the price it's excellent. A little bulky for smaller cars, but wheels are removable and car seat clips into pram base. An overall great system, great value for money! Couldn't ask for anything more. Easily folded and unfolded, comes with instructions. Large wheels are removable for easy storage. Love that the handle can be adjusted to suit parents height. Brought this travel system set and I couldn’t have got any better! For the price it’s so good! So easy to fold down and take wheels off, easy to change from car seat to stroller/pram and back again! 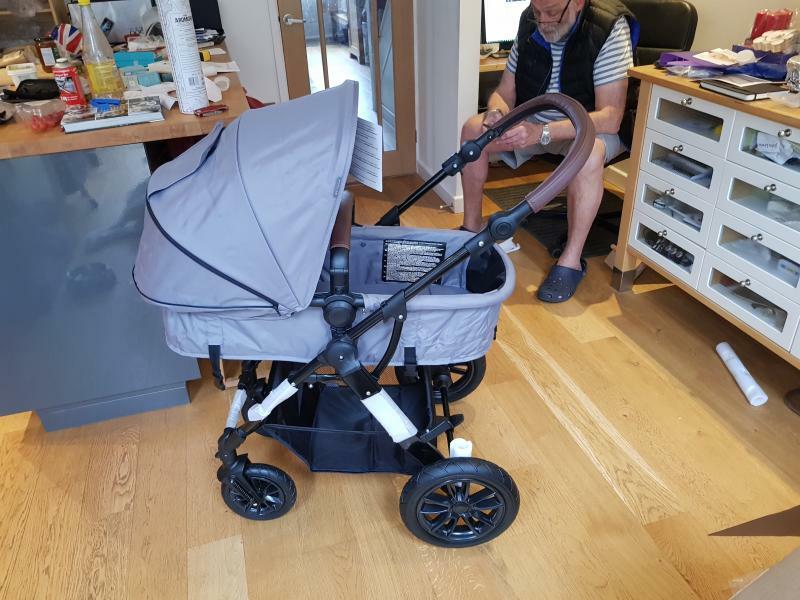 Easy to use and manoeuvre out and about , and the changing height of handles is a bonus as it allows you to bring the pushchair in closer/further when walking around! Couldn’t fault it if I tried!! Very durable and lasted my son. We still use it now, with no problems. The sun shade and nappy bag I got with it wasn’t as good as expected. The bag was a little small. Overall I love this pushchair. I got the full set, with car seat, rain cover’ sunshade and nappy bag. It’s lasted over 2 years now and we still use it regularly for day to day walks etc. As I’m pregnant again, I would definitely get it again, maybe in a different colour. 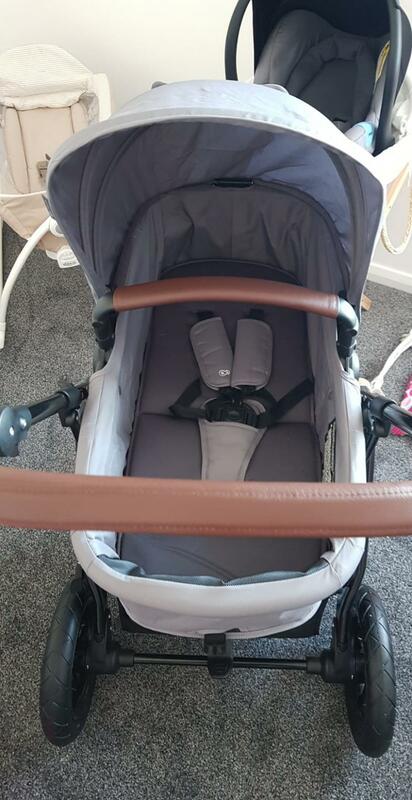 I love this travel system very easy to fold down, easy to assemble and easy to change from carry cot to seat unit, also the car seat is very padded and comfy. 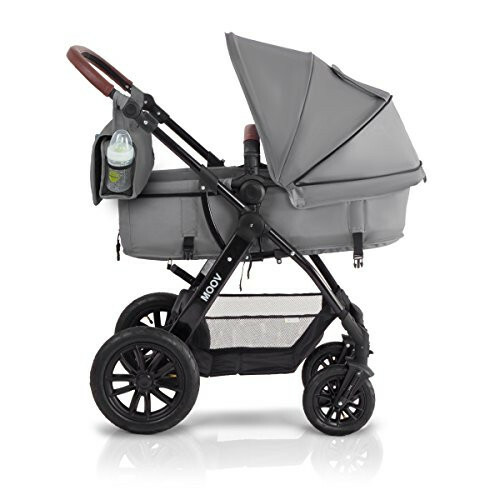 This modern 'Moov Travel System' in grey from KinderCraft has it all! The MOOV travel system combines functionality and modern design. It is maneuverable, comfortable and adapted to different weather conditions. Its has a 5-point adjustable handle height making it ideal for all the family, simple to fold and with its swivel wheels its ideal for walks in the forest or simply around your town. Its super lightweight making travelling on a bus or popping in your carboot as simple as ABC.